Armand Herscovici, grandfather of Truth About Fur's senior researcher Alan Herscovici, learned the furrier’s art from his father in Paris, before coming to Montreal in 1913. 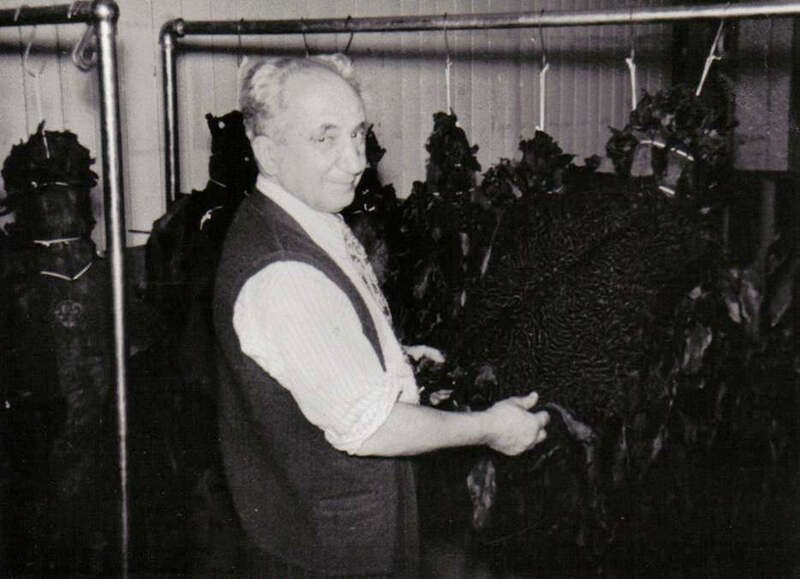 He is shown here examining Persian lamb skins in his stockroom. This photo (taken in the early 1950s) is the only photo we have of my grandfather at work at A-J Herscovici Furs Ltd., the company he founded with his son, Jack.